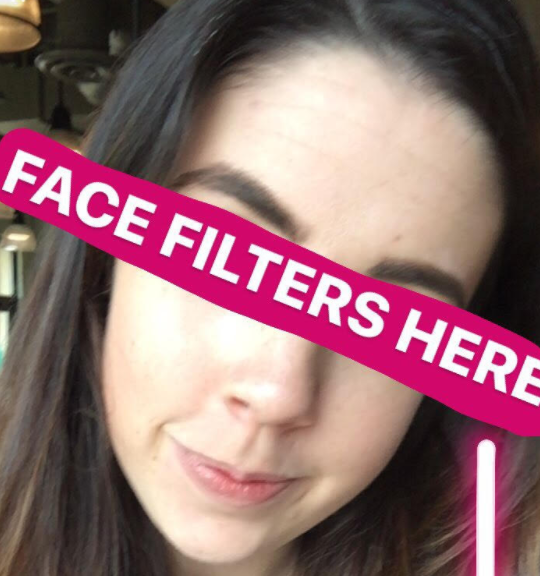 Another day, another Instagram update –– and this time, said Instagram update comes with face filters to take your story game to a whole new level. 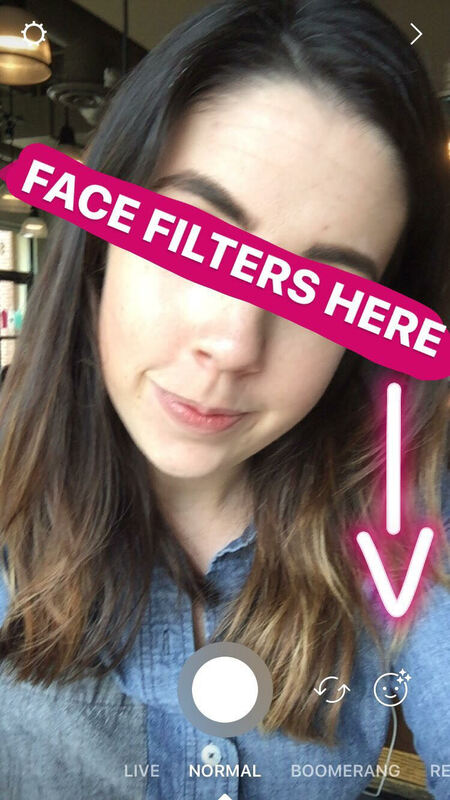 Today Instagram announced the new filters and story options (some of which very closely resemble what make up Snapchat’s most popular features) in a blog post. Naturally, I had to download the new update immediately and test out these new features for myself. You know, for educational purposes. I’m only thinking of you, here. 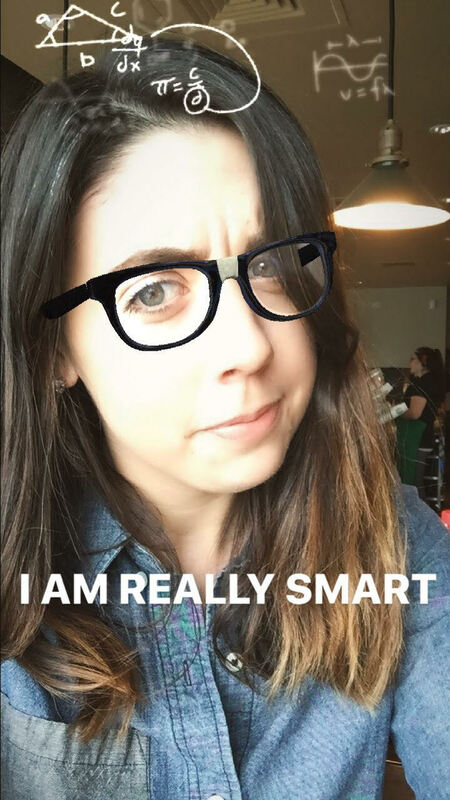 So, like any self-respecting freelance writer would do, I brought out my best selfie game and, in the middle of Starbucks, figured out how to make good use of Instagram’s new update. 1Update your app in the app store or on Google Play. After you’ve gone through the steps, a small face icon will appear in the bottom right-hand corner of your screen, next to to the “camera flip” button. 3After pressing the face button, you can toggle through a number of face filters. This is very user-friendly. 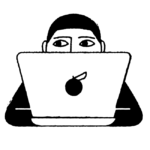 I’m not a social media maven (gasp!) and had it mastered within seconds. After selecting the face filter of your choice, you can click back into the photo to switch between “normal mode,” video, Boomerang, Rewind (more on that in a second), and hands-free. Yes, filters work on Boomerangs! The new Rewind feature plays your recorded video backwards, which can make for some creative shots — reverse mic drop or champagne pour, anyone? 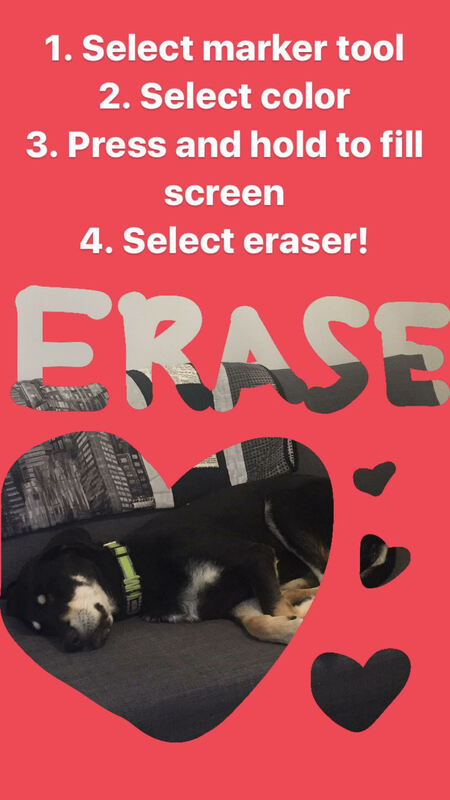 However, my favorite update isn’t face-filter related at all – it’s the new “erase” feature. All you have to do is select the marker tool in your story, then tap and hold your screen to fill it with the color of your choice. Then, you can switch over to eraser mode to reveal parts of the image underneath. These new features are fun and easy, so I have no doubt you will be as obsessed with them as I am. Get posting!